Webxloo proactively develops, promotes and offers strong solutions for 24/7 support software. As Live Chat and Live Help functions are widely used by different websites of any kind, today these tools get upgraded very fast. We have our own view and strategy on 24/7 software development. 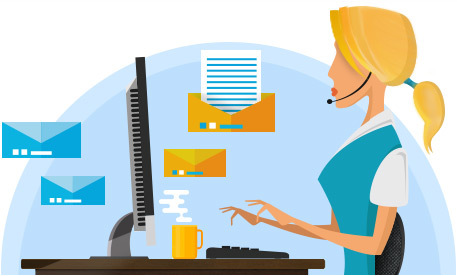 We offer you around-the-clock services that allow the fastest and most effective non-stop customer support, questions-answers mode, live chat conference, Auto-Invite tool, mobile application, etc. We build all our work on detailed research and consideration of our client’s workflow. So you can rely on our potential, skills and techniques for realizing your most incredible client help projects. Our up-to-date industry leading technologies will ensure your customers reliable services and support to all needs and requirements of the global market. We know how to attract new buyers and can prove it with our works. We provide a full set of 24/7 services for our clients. Our customers are guaranteed to receive a quality, reliable response to every issue they have at the shortest time. They can apply by using our Live Help service or via feedback form. Live Chat conference provides our chat operators a possibility to direct the problem to a proper department, team or specialist. 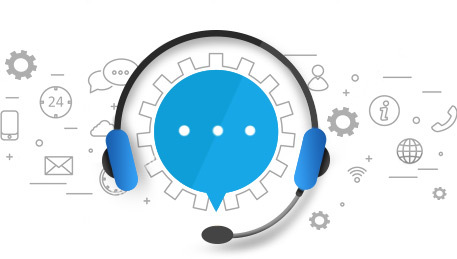 Auto-Invite tool in Live Chat service catches user’s attention and involves a website visitor into a question-answer dialogue which helps to solve any problem at once. Live Chat mobile application designed especially for our customers’ needs allows them to do the work at any time and any place. We recommend and encourage all business people who try to extend, develop, and enlarge their commerce to utilize 24/7 services for profit-making. Webxloo development is an excellent basis for all business challenges, plans and demands.